I've been really enjoying working with some brand new indie polish makers recently - and today I have another one! 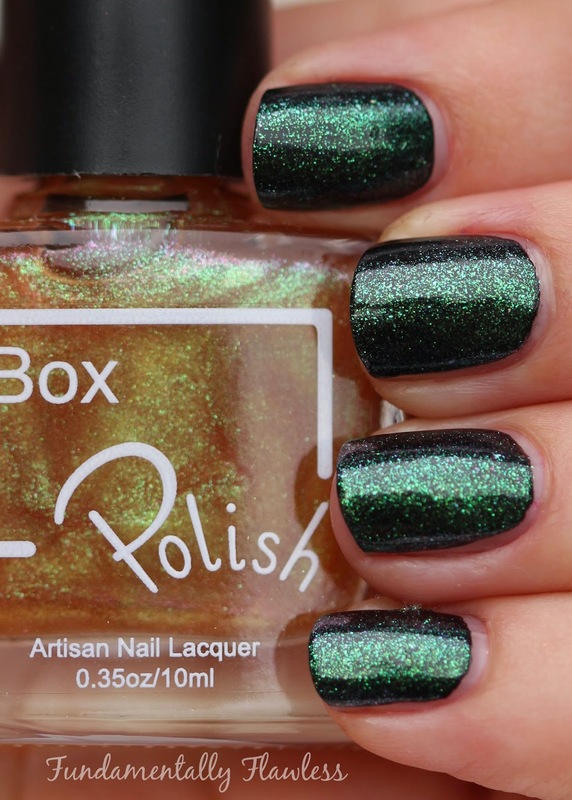 It's called Box Polish and the polishes are made by a lovely lady called Amy. 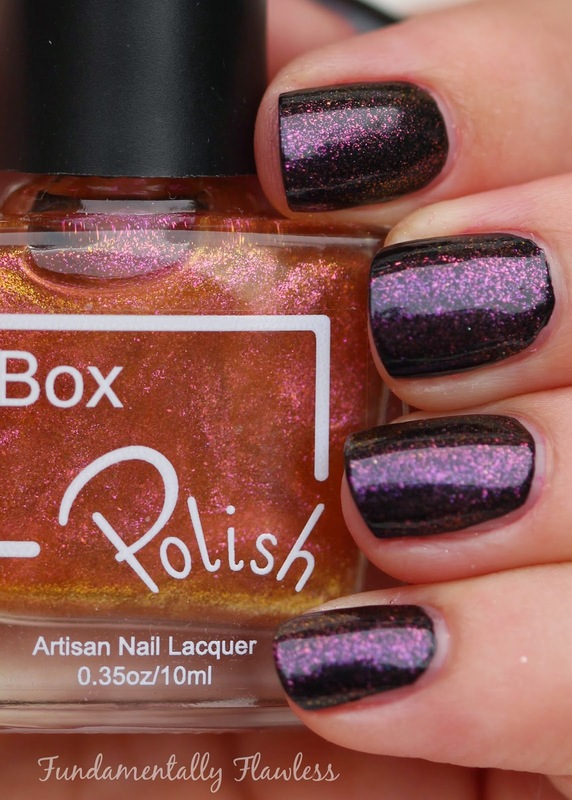 Amy launched Box Polish just this past Saturday (there are some really cute photos of the launch on her Hold My Hand Manicures Facebook page) so I'm delighted to be able to show swatches of her beautiful polishes. I've been trying out her multichrome polishes* - which are designed to be worn over a base coat of her black Miaow polish. 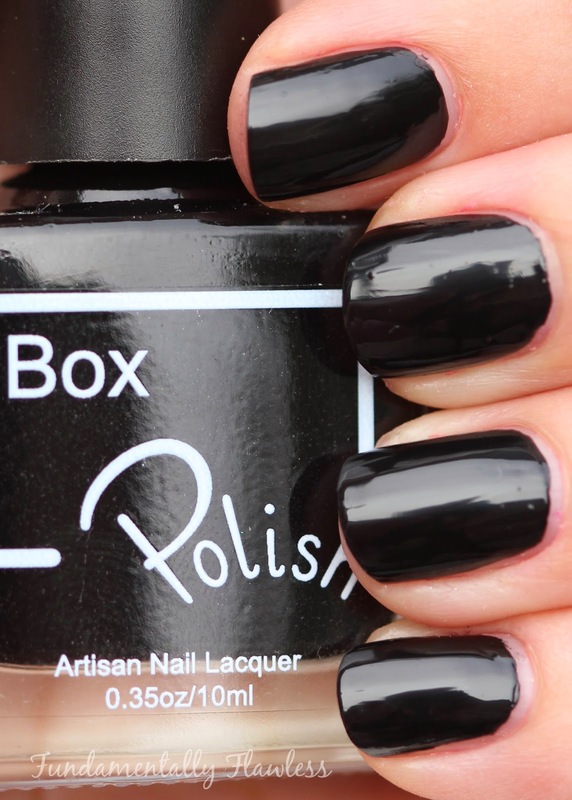 Apart from being really beautiful polishes, another bonus in my book is that the black is so opaque it only needs one coat - as do the multichrome top coats, which is great for time-saving! They're also all 5 free (excellent! Why are the big brands not taking note of this?!). 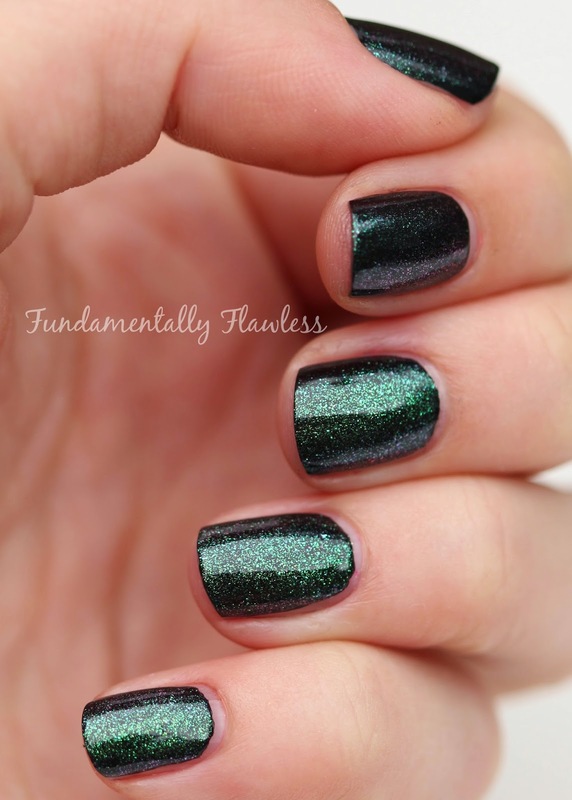 Charm*, although looking a little orange in the bottle, actually comes out as a gorgeous emerald bottle green multichrome finish when it's over black. Entice* is a multichrome which has tones of yellow to orange to red, depending on how the light hits it - a really beautiful mixture. Fantasize* is hands down my favourite of the multichromes - probably because I love blue so much - but I also love the depth of the bluey greeny purple colours. Hypnotise* is an orange to maroon to purple multichrome - another one that changes depending on the light so has beautiful depth to it. 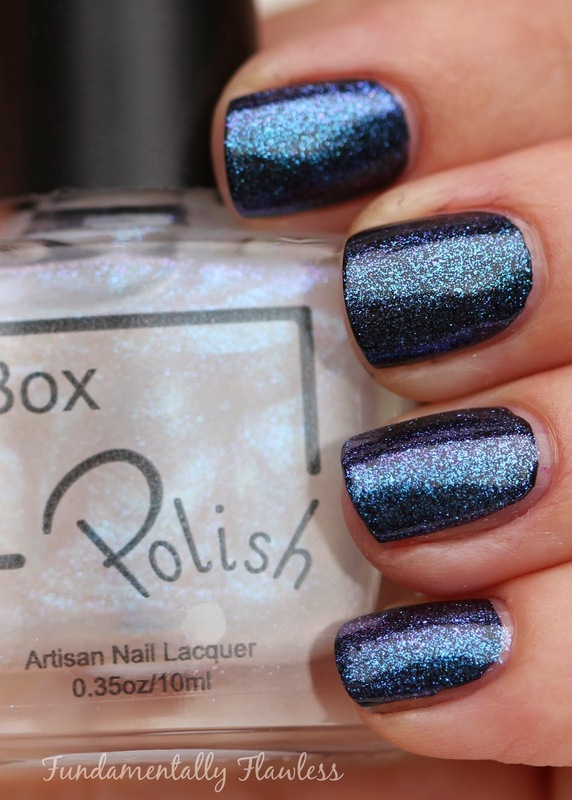 Moondust* is a glitter topper - tiny flecks of rainbow glitter with a few bigger flakes in a clear base. 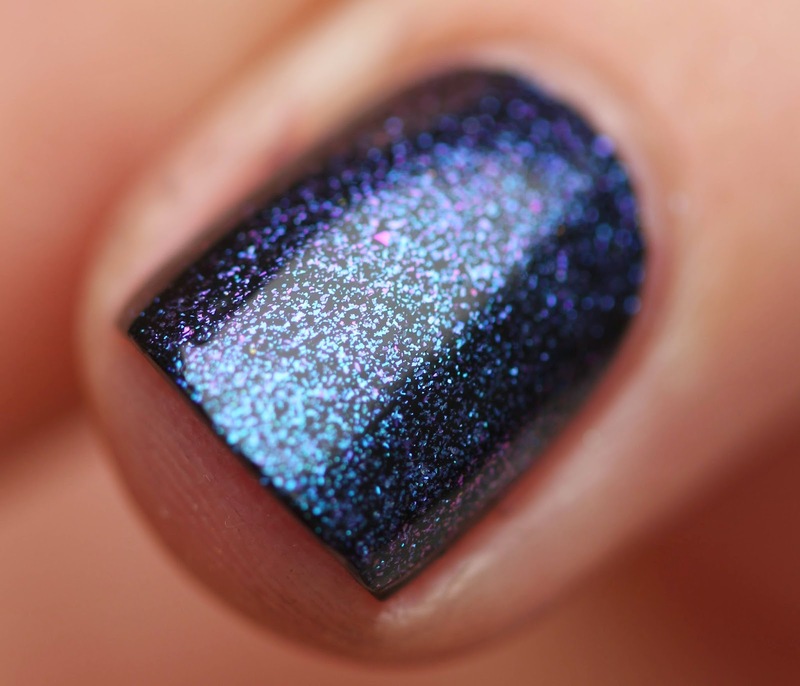 This would be awesome in a galaxy manicure I reckon! Do you like multichrome finishes? Which one of these is your favourite? Let me know in the comments below! Box Polish polishes are £8 each - or you can get a Miaow and a multichrome topper set for £15 from Amy's Etsy shop: www.etsy.com/uk/shop/BoxPolish. She also does custom polishes for £15 - such a cool idea for a present!